Happy Birthday Penguin - 10"
Our adorable, Plush Penguin is always well received for birthday celebrations! 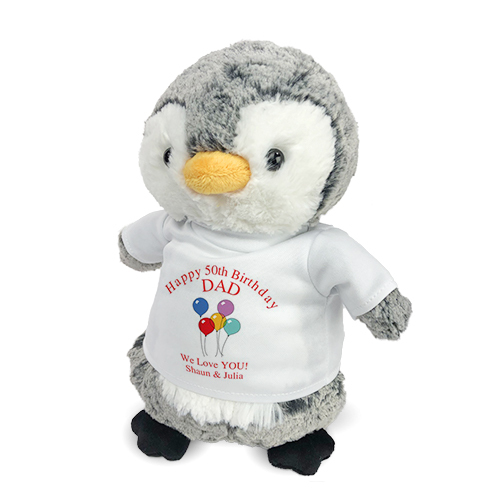 No matter what age or milestone birthday, our Plush Penguin is always a hit for your birthday guy or gal! This birthday balloon design is featured on our Perky Penguin from Aurora. 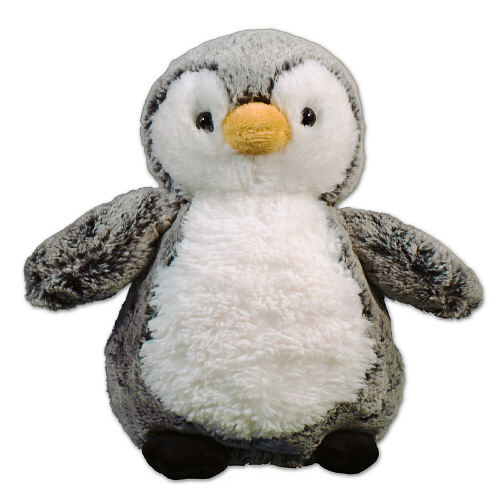 Perky is a very cute, soft and cuddly penguin with super soft grey and white fur. This custom plush comes from our Aurora collection and measures appox. 10” tall. Personalize the t-shirt that Perky wears for free! Just simply enter any custom message to wish them a Happy Birthday! Or, choose any design that better meets your needs. Free gift wrapping and a free gift message are included to create a thoughtful presentation. The penguin was so soft and plush. I like the fact I could get it personalized. I will definitely purchase more products. Product is exactly like the web site says. Very soft and cuddly. Good quality. 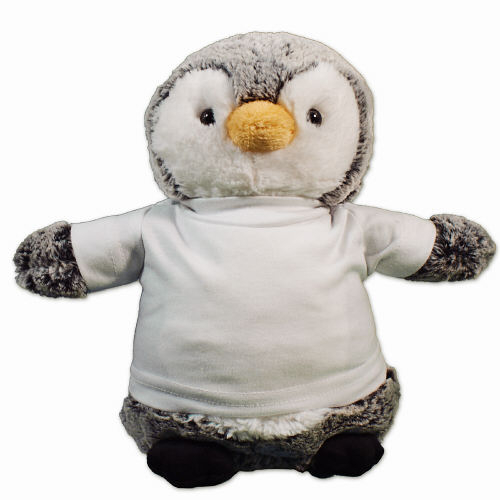 Perky Penguin is a very cute, soft and cuddly penguin with super soft grey and white fur. Make this plush penguin a great gift idea for anyone on your shopping list. Perky is from our Aurora collection and measures approx. 10” tall. Personalize the t-shirt that Perky wears for free! Just simply choose any design and add your own custom message. Free Gift Wrapping and a Free Gift Card are included to create a thoughtful presentation. Additional Details 800Bear.com offers an entire collection of Plush Birthday Animals for any age or gender! Birthday Animals personalized for for them creates a one of a kind keepsake they'll always enjoy.